Your Pup is guaranteed to have superior conformation and your pup is guaranteed to be healthy with no genetic abnormality. Life span ranges from an average of 14 years to up to 19 years. 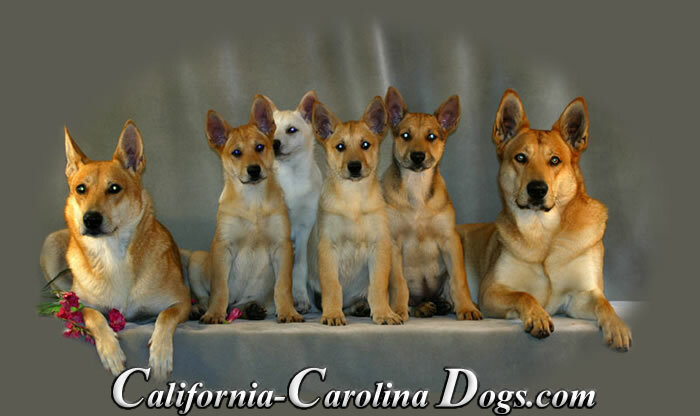 We have short coat, a medium coat and long "soft" coat dogs available. In general females tend to demand more affection and seem to be less incline to entertain with outsiders. They want to know what the individual will contribute and subconsciously whether this individual would be trustworthy around her puppies. Females when in heat have a personality deficit. People say “She is just about out of heat and back to her old self." In general males are more adventurous and independent and they tend to be more accepting of extended members of your pack or in other words, your friends. 1. Gender preference is established. 2. 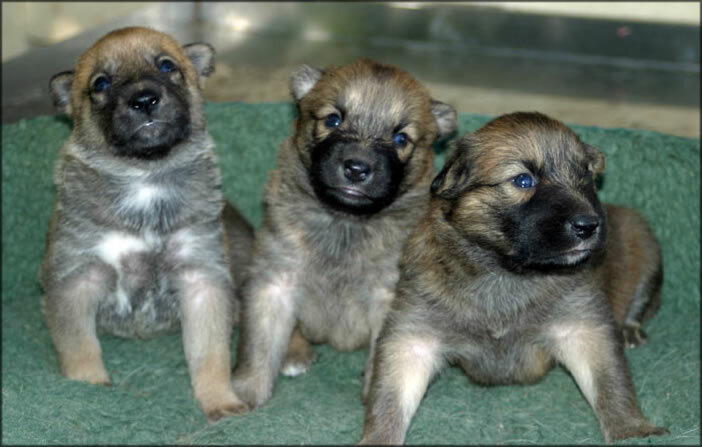 A Picture of the available pups in the gender you prefer is sent to you. 3. Upon receiving the deposit: a) a confirmation by email reply is sent ASAP to you; b) courtesy information is sent to you. 4. When puppies are very young, pictures are sent weekly or at least every other week. 5. You will be asked to make a choice when pups reach 6 weeks old. 6. Eight weeks old is when pups may go to their new home. Via air travel, the pup will require a Health Certificate. Arrangements may be made to hold the pup longer: Birthday, Anniversary etc. 7. Via Air Travel: All arrangements and travel expenses will be taken care of from my end. Once the finances are taken care of I will ASAP give you a flight confirmation and an Air Bill Tracking Number. I will need to know the name of your local large airport and for airline security purposes I will need your complete name. That is the name and mailing address and a cell phone number if you have access to one of the person that will be picking up the pup. The airlines will require verification and in some cases verification from customs. We are very carefull to duplicate all information just in case paperwork is lost. I will stand by waiting for a call from you that your pup has arrived with the neccessary paperwork that is required and you have received your pup.